When he was in college, Dr. Jan was studying to become a pharmacist. Due to his connections there were multiple opportunities down this path. But upon discovering Chiropractic he was moved by the partnership of the doctor-patient relationship and explored the career. The year was 1974, and those encounters at the chiropractic offices sealed the deal for Dr. Jan. “I came home and said, ‘I’m going to do that.’ I didn’t know what it was but didn’t care. It just felt right to me.” He left the pharmacy program, finished up a semester at the community college and enrolled at chiropractic school. “It changed my life and became one of my greatest life choices.” His sister also became a chiropractor. 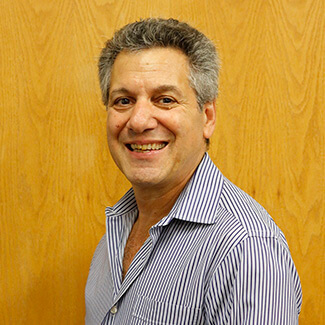 Dr. Jan earned his Doctor of Chiropractic from New York Chiropractic College. Through his years in practice, he has studied multiple techniques and modalities. “I call it my big back of tricks.” Every person presents as a unique challenge requiring different treatments specific to them. He has taken 40-50 postgraduate courses. He is certified in Pettibon Spinal Biomechanics, is an American Posture Institute Certified Posture Expert and has certification in Postural Neurology. When he’s not at the practice helping patients, Dr. Jan enjoys living a healthy lifestyle, which includes getting regular adjustments, doing yoga and Pilates, swimming, walking, Stand Up Paddle Boarding and meditating. He is nutritionally conscious, though he does admit to having a sweet tooth! Dr. Jan has two beautiful grown daughters— Eve and Simone — who were born at home and grew up with chiropractic. He also stays busy professionally as a member of the International Chiropractic Association (ICA). Discover drug-free, natural chiropractic care in a warm and casual office. Book a same-day appointment with Dr. Jan at Teitelbaum Chiropractic today!